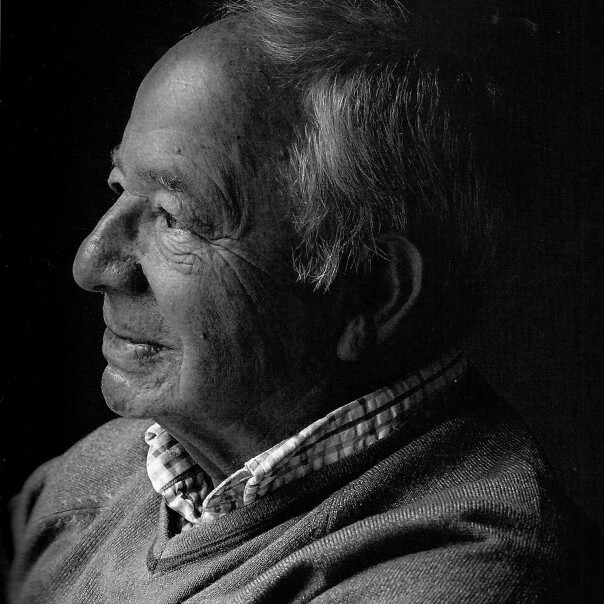 I never met Colin Dexter and now of course, sadly, I never will. But, I came close – almost. The first time I visited the filming of Endeavour, Sam Costin, then script editor, informed me that Colin was filming his cameo the following day at Exeter. Exeter? Why, having only just set up Unit Base for location work in Oxford are they suddenly moving to Devon? It didn’t make any sense. Of course it wouldn’t make any sense, and it was only afterwards, having said my goodbyes that I realized Sam had obviously meant Exeter College in OXFORD. Damn my stupidity because I’m sure, having put up with me and my endless questions for one day, the cast and crew probably wouldn’t have minded me hanging around for another. By the time I returned to the set the following year, I was told that poor old Colin was too ill to film any more of his famous appearances. So there you go, I missed out on meeting one of my literary heroes by just one day. Many of you reading this may have had the pleasure of meeting Colin at various book signings and other events over the years, while others may even have had the privilege of actually working with him. And yet regardless, and in the absence of such pleasures and privileges, we all feel as though we know Colin don’t we? Perhaps you first encountered him through his books, or like myself and others who were late to the party, you feel you know him through those aforementioned cameo appearances. And what fun it always was to spot him. Sometimes his presence was easy to see, sometimes it was a little more difficult – especially when disguised as a tramp, and sometimes they were simply hilarious such as the time he tried to upstage Sir John Gielgud (of all people!) in Twilight of the Gods. So, having seen him pop up on our screens over the past thirty years, it was hard not to feel a great sense of loss when Colin himself didn’t, physically at least, appear in the last series of Endeavour. A little bit of the show’s magic was gone and he was missed. Indeed, regardless to how long the series continues, Colin will always be missed. However, even without Colin’s stewardship, Endeavour will continue to sail on with the safest, kindest and most gentle of hands at its helm. Whenever I visit Oxford, I always like to stop by at “The Bird and Baby” and find an empty corner of the pub in which to reflect on its literary heritage. I’ll almost always imagine J.R.R. Tolkien and C.S. Lewis sitting there together with a drink next to the glowing fireplace and this year, when I inevitably embark on my annual pilgrimage once more, there will be another gentleman sat beside them. I’ll nod, raise my glass and say cheers Colin. And it’s a funny thing imagination. When you research and write about something as much as I have on the subject of Morse, it’s very easy to let your imagination run away with you, especially while staying in Oxford. I obviously realize that no matter how long I wander about the pubs or cobbled backstreets, that I’ll never happen to bump into John Thaw, James Grout or Peter Woodthorpe, but then I suddenly find myself on set again shaking hands with Shaun Evans or testing Russ Lewis’ patience by asking him ridiculous questions like what Thursday has on his Wednesday sandwich (he never tells me), and it’s in moments like these that you realize almost anything is possible. So, this year – and every year, I’ll imagine Colin is still with us but it won’t be the tiny, fragile old gentleman that we saw in his last few screen appearances, rather it will be the giant of Detective and Crime fiction that I’ll see before me. And I also like to imagine Colin back in his favourite holiday destination of Lyme Regis with the taste of the salty sea air on his tongue. Or sitting in his comfy chair in his study at home surrounded by his books and the photos of him with John Thaw and Kevin Whately. So, in the absence of my own personal memories of him, imagination is all I’m left with. Although I never actually met Colin, I loved him anyway. This entry was posted in Inspector Morse and tagged Colin Dexter on March 26, 2017 by Damian Michael Barcroft. 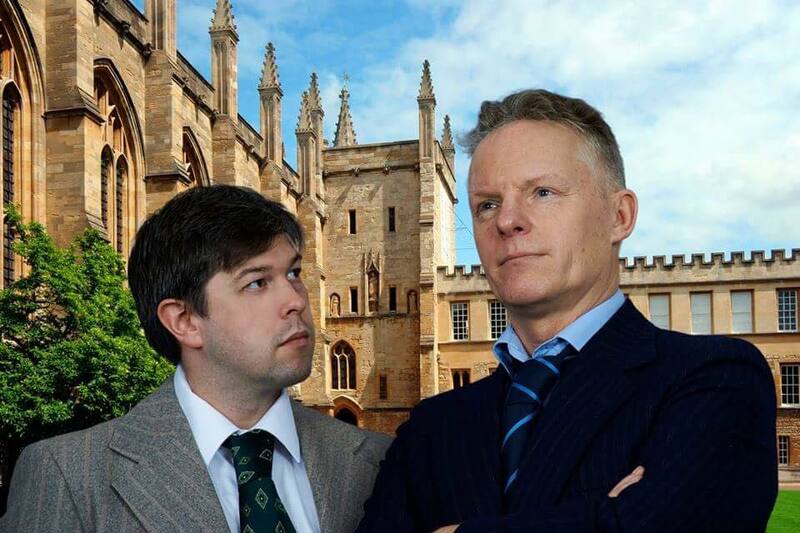 In an exclusive interview, Damian Michael Barcroft talks to producer and founder of the Baroque Theatre Company, Claire Bibby, director Adam Morley and award-winning actor, Nigel Fairs who plays Chief Inspector Morse. Damian: Baroque is a professional touring theatre company founded in 2010 and based in Norwich. Can you tell me a little about the genesis of the company and something of its ethos please? Claire: We are passionate about our craft and thrive on bringing inventive and high quality theatre to regional theatre venues. Our casts and crews are energetic teams of creative individuals, committed to engaging audiences with vibrant and captivating entertainment. Our goal is to generate a “renaissance” in local theatre, performing a wide range of genres from revitalised classics to exciting new writing, from comedy to drama. Our ethos is to build the company on a repertory style, whereby a core team of actors and crew remain associated with the company. We are proud to have the opportunity to contribute to East Anglia’s rich and flourishing base for arts and culture. We take our touring shows to all parts of the UK and perform in a vast range of different spaces and venues. Adam: Baroque is creating quality entertainment, traditional story telling, going out across the country with reasonable pricing, aiming to make theatre and live entertainment accessible and affordable to all. 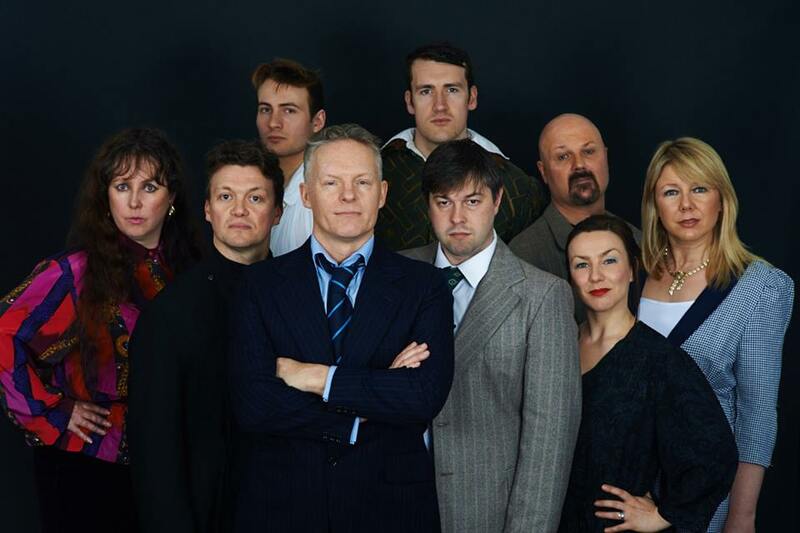 We want to entertain not only regular theatre goers but also attract new people to theatre with a wide range of productions including Inspector Morse House of Ghosts which is our most exciting show to date. Damian: Your previous productions include The Haunting of Hill House, Veronica’s Room, Great Expectations and most recently, Sherlock Holmes. Why did you choose House of Ghosts as your next production and what attracted you to the world of Inspector Morse? Claire: Morse is a complex, fascinating character with many layers to his personality that we very much wanted to bring to the theatre audience. There is only one stage play written about this iconic sleuth by Alma Cullen and so we felt privileged to be granted the professional touring license in order to bring this wonderful story to regional theatre venues. Adam: The chance to be part of the Morse cannon, part of a rich history and walk in the footsteps of giants is extremely exciting. The opportunity to explore this deeply complex and flawed human character is a real honour. Having new insights into Morse’s past and what shaped him has been a real treat. Damian: Alma Cullen is a prolific writer who actually wrote for the original Inspector Morse television series* (1987 – 2000). Can you tell us about the story and her particular interpretation of Morse and Lewis in House of Ghosts? 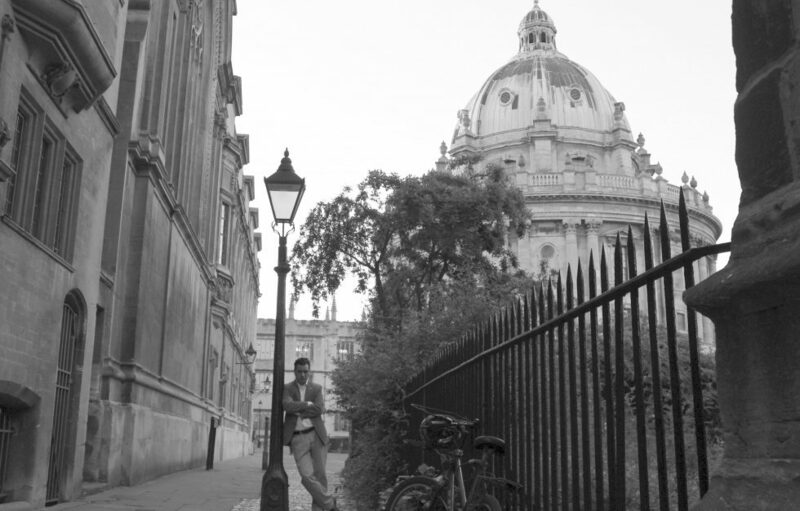 Claire: The plot delves deep into Morse’s history as a student in Oxford, reuniting him with ‘ghosts’ from his past. Giving us an insight into some of the events which shaped Morse’s life in years to come. A real treat for the Morse fan. Our Morse in House of Ghosts is in his late forties and the play is set in the 1980’s. He is still developing his persona and traits at this stage of life and the character in the play presents a bridge between the characters in the TV series of Endeavour & Morse. Adam: We find Morse at a crossroads in his personal and professional life. The show is about obsessions and as the title suggests it reveals previously unknown or little known aspects of Morse’s past. Similarly we see the depth of relationship between Morse and Lewis as the faithful and tenacious Sergeant tries to keep Morse focused and on track. Damian: And the stage-within-a-stage concept? Claire: The play opens with a performance from Hamlet, when Ophelia dies suddenly mid-performance. Inspector Morse is immediately on the scene, having been in the audience. The stage is cordoned off and becomes a fully-fledged murder scene. In the opening scene, the audience are watching events unfold from backstage. The stories then unfold in a more traditional manner on stage. Adam: This lovely concept by the incredibly talented and humble Alma Cullen (I have never worked with such a supportive and encouraging writer) allows us to keep the pace flowing beautifully and create a wonderful mixture of different locations including the Theatre. As a director this has been a wonderful challenge transferring what has worked so well on television to the stage. 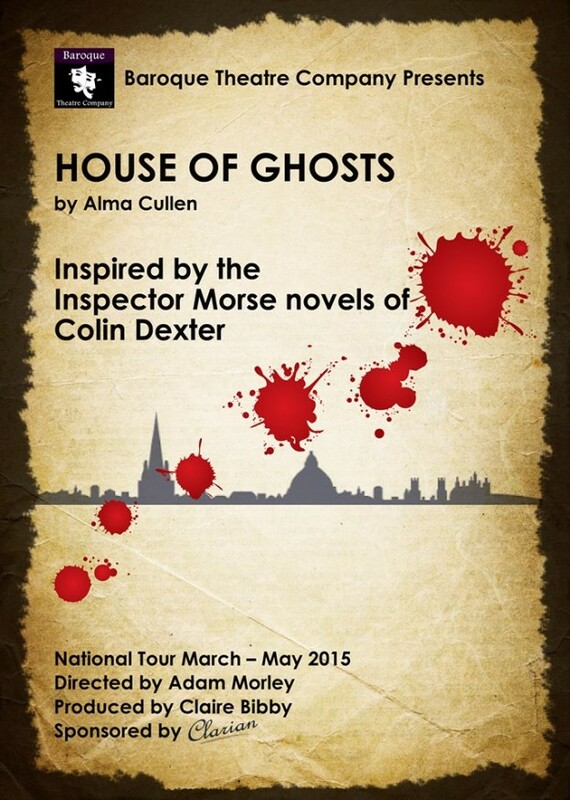 Damian: Morse enthusiasts may recall the first production of House of Ghosts back in 2010 with former Doctor Who Colin Baker in the role of the Inspector. Are there significant changes in your adaptation? Claire: Adam has worked closely with Alma to bring a fresh interpretation of this production which we hope will delight Morse enthusiasts as much as we have enjoyed working on it. Adam: Alma has been amazing and has allowed us to restructure some of the scenes to better suit a theatrical production. We have together gone back to a much earlier draft of the script allowing for even more character development and revelation. The previous incarnation of the show had many short sharp scenes. We have a different pace allowing for a more linear approach and greater plot and background development. It is a true honour to have been allowed so much freedom with such iconic characters. We have always at every step respected the writers and the cannon; this version is faithful and shows a more vulnerable Morse in all his glory brilliantly portrayed by Nigel Fairs. Damian: In comparison to Colin Baker, the casting of Nigel Fairs as Morse is certainly more in keeping with that of Shaun Evans in Endeavour, is this something that you took into consideration? Claire: Adam will be better able to explain from a Director’s casting point of view. Nigel was able to portray the characteristics we were looking for with skill and flair as well as putting his own stamp on the performance. There is always a risk if an actor’s performance is a carbon copy of a famous actor’s portrayal of an iconic figure such as Morse. 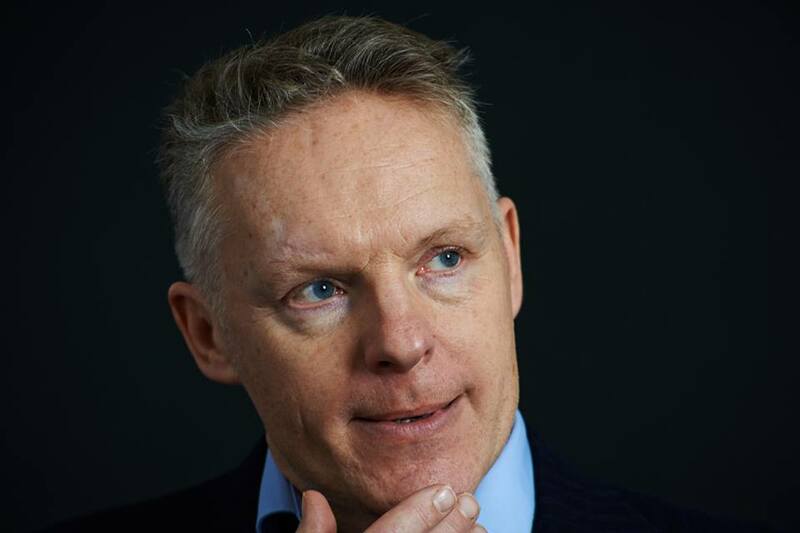 With Nigel’s wide spanning experience, versatility and expertise he was able to nod to the character appropriately whilst making it the role his own. Adam: Casting Morse was the hardest casting challenge of my professional career. Not only did we need to find an actor with the ability to portray this deeply complex individual , we needed to respect and understand the other interpretations and allow our incredibly talented Morse room to grow into the role which he has done magnificently. After the long search we then needed approval from Alma and Colin Dexter, there was no hesitation on their part with our choice. We absolutely kept in mind suitability of the actor and ensured we had found absolutely the right man for the job in keeping with the narrative age and development of the character between Morse and Endeavour. Damian: To what extent does the play attempt to bridge the gap between Endeavour (1965 onwards) and Inspector Morse (1987 – 2000)? Adam: The play itself sits in-between and shows us Morse a Chief Inspector torn between two worlds; academia and the Police. We meet a Morse who is in the throes of internal conflict when new opportunities arise to possibly change direction. In this show you see how he ultimately progresses form the young man in the Endeavour days into the classic Morse we all know and love as played by the late great John Thaw. It is a glimpse of a crucial moment in his development – does he want to be a policeman anymore as the ghosts from his past just a few years previous to Endeavour come back to haunt him. Nigel: When I first got the part, I vowed to myself not to watch either the incredible John Thaw or Shaun Evans (I’ve yet to see Endeavour) until I’d finished the tour, as it would have been so tempting to try to imitate their performances. I’ve known and worked with Colin Baker for years and I even resisted asking him how he’d played the part! I felt it was really important to find the truth of the Morse we see in this play and to create my own “version”. I would hope that I’ve done just that, and feel really honoured to have been given the opportunity of being one of only four actors to play him. Like the lucky actors who’ve played Doctor Who or James Bond, I now feel like I’m a member of a very privileged club! Damian: I’ve interviewed and discussed Endeavour many times with its writer and executive producer, Russell Lewis, and one of the challenges was reconciling certain discrepancies between Colin Dexter’s thirteen Morse novels plus his various short stories** and the thirty-three episodes of the original TV series – specifically, Morse’s childhood and college days. Since your plot also delves into Morse’s past and student life in Oxford, I was wondering whether you have been either helped or hindered by the enormous success of Endeavour in terms of your own creative freedom in exploring the character? Adam: It has been a great help. Firstly it introduced the character to a whole new audience who may not have known about Morse and has hopefully lead to them reading the books and seeing the original TV series. Secondly it has given us in our research and development so much more source material and inspirations to consider. This production is very much its own unique story set in the Morse universe showing us a character we know and love in a truly harrowing and complex investigation with deep personal ramifications to the character. It has many influences but I am extremely proud of how we have made it our own whilst always respecting what has gone before and being true to it. The incredibly talented cast lead by Nigel has worked in their own various ways to achieve the characterisations with my guidance. This is I hope a true treat for fans of the ever growing and ever popular Morse universe. Nigel: Like I said, I have yet to watch Endeavour but I’m itching to watch both that and the classic Morse episodes as soon as I’ve finished the tour! Damian: Does your production of House of Ghosts explicitly address Morse’s early love life and why he left college? Adam: Yes it does in detail; revealing previously unknown events that shaped Morse. We discover some of the reasons why he left and what his thinking was at the time…these events play an integral part of the plot. Nigel: This is exactly his struggle. What I love about the plot is that Morse gets it wrong, despite having all the evidence about the truth presented to him early on. He’s desperately trying to be the professional but that terrible time back at college is constantly clouding his vision. Damian: Can you tell us about your own particular interpretation of Morse and how you prepared for the role? That passage nailed it for me, and not only because that’s more or less exactly what goes on in my own head most of the time (usually accompanied by the most amazing incidental music score; another similarity to Morse)! As I move through House of Ghosts as Morse, there isn’t a single second where I’m not analysing other characters’ speech patterns, imagining outcomes or possible motives, chastising Lewis (and other characters) for their incorrect use of grammar… But all the time being thwarted and distracted by the HUGE emotional resonance of the Past Events that have resurfaced. Morse is in mental turmoil here, which is a joy (if exhausting) to play. Damian: How would you describe the relationship between your Morse and Lewis (played by Ivan Wilkinson) in the early days of their partnership? 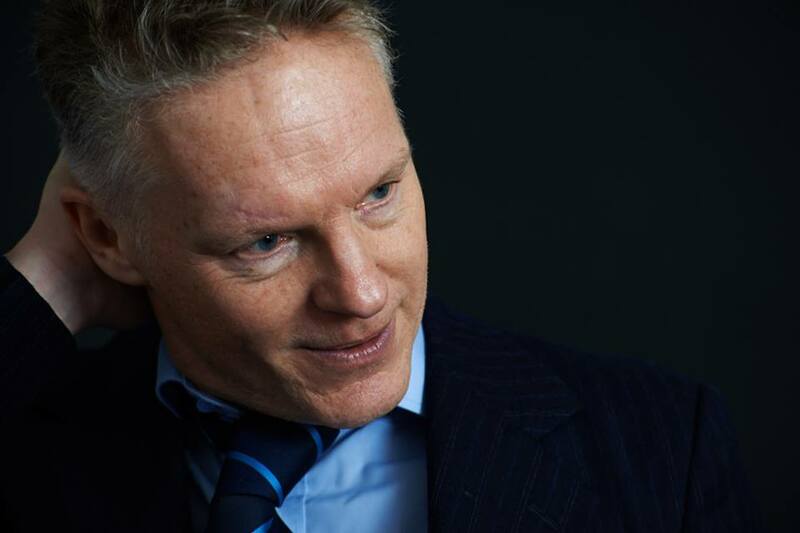 Nigel: I adore Ivan Wilkinson, and his beautifully detailed and layered performance of Lewis is a joy to play opposite. I think that between us we’ve managed to come up with a fascinating relationship that constantly blurs the line between “mentor” and “student”. They both have such a lot to learn from each other. Without spoiling the plot, there are a wonderful couple of scenes in the second act where we see exactly how much they need each other to work as a team, or even individually. Damian: What will the next Baroque production be after you’ve finished touring with House of Ghosts in May? Claire: We will be touring with two productions from November 2015 – January 2016. Sherlock Holmes and the Christmas Carol by John Longenbaugh and The Great Santa Kidnap by Roy Chatfield. Our exciting programme for the remainder of 2016 will be announced soon! Adam: In addition to those shows with Baroque Theatre Company, I’ll be directing The Birds based on the Hitchcock film and Du Maurier book in a co production with Baroque. I will also be directing a Moliere (in French) in London and Paris and then moving onto The Canterbury Tales. Damian: Claire, Adam and Nigel, thank you very much indeed. *Alma Cullen’s Morse episodes: The Secret of Bay 5B (1989), The Infernal Serpent (1990), Fat Chance (1991) and The Death of the Self (1992). **Colin Dexter himself wrote about Morse’s background and history in Mr. E. Morse, BA Oxon (Failed) also known by its original title, Morse and the Mystery of the Drunken Driver, a short story published in 2008 by the Daily Mail as part of a Christmas serial special. This entry was posted in Inspector Morse and tagged Adam Morley, Alma Cullen, Baroque Theatre, Claire Bibby, Colin Dexter, Damian Michael Barcroft, Endeavour, House of Ghosts, Inspector Morse, Ivan Wilkinson, John Thaw, Nigel Fairs, Russell Lewis, Shaun Evans on April 26, 2015 by Damian Michael Barcroft.